Restore Your Teeth In ONE Visit! Is dental bonding the magic wand of cosmetic and restorative dentistry? Anyone who has ever used it to repair, whiten or improve the look of their teeth may think so! If you are considering a versatile and affordable alternative to dental crowns or veneers, dental bonding is a popular option in cosmetic dentistry. Composite resin bonding (also known as tooth bonding) uses a tooth-colored resin to correct or improve the current look of your smile. 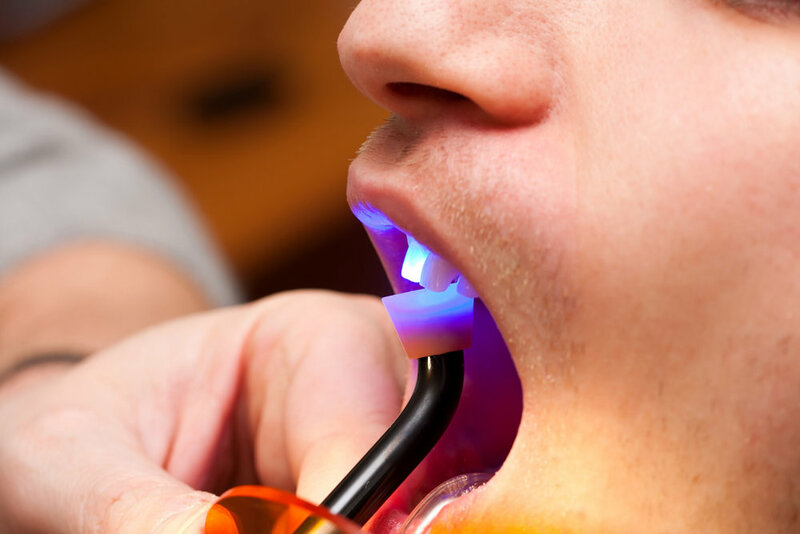 At your appointment Dr. Zebro will apply the resin to the teeth and bond the material to each tooth with a special curing light. The result is a beautiful, natural looking smile! Dental bonding can be recommended to patients both younger and older who are looking for a solution to various dental needs, such as stained teeth, a chipped tooth, or even to close small gaps between teeth in just one visit. Can bonding help you? Ask Dr. Zebro today how bonding can enhance your confident smile! As your family and cosmetic dentist in Greenville, Dr. Zebro approaches cosmetic dentistry with a passion for the unique individuals behind each smile. She understands that even small changes to the shape or look of each tooth can have dramatic results on developing a confident smile. When it comes to cosmetic or restorative dentistry, our team at Magnolia Dental believes in working alongside our patients to listen to their unique needs and develop a treatment plan they can love, from beginning to finish. Unlike dental crowns or veneers, dental bonding can take just minutes to complete. For patients who desire same day dentistry (and hope to spend less time in the office! ), the cost of dental bonding and the long-lasting results are bound to make any patient smile. Because dental bonding is minimally invasive, most patients can have it done without anesthesia or sedation dentistry. Many dental insurance plans will also cover most, if not all, of the cost of dental bonding for restorative purposes or to fill a cavity. Like any cosmetic or restorative dental care, how long dental bonding will last will be greatly influenced by how well you look after your smile. Practicing a good dental hygiene routine and visiting your dentist periodically are a great first step. You may also extend the years tooth bonding will last by avoiding or reducing habits such as smoking, drinking wine or using your teeth as “tools” to bite nails or open containers. With gentle dental care your smile with bonding may last several years! Dr. Zebro and her team welcome new and existing patients who have a desire to improve their smile to book a consultation for cosmetic dentistry today! We’ll walk you through a careful assessment of your options, so you will know what options you have to achieve the smile you love! Would you like to talk to our friendly and helpful team at Magnolia Dental? Call us today at (864) 242-2848 or stop by our office at 119 W Antrim Dr. in Greenville, South Carolina.